Strauss Group Chair, Ms. Ofra Strauss, today announced the appointment of Ms. Dalia Narkys to the Board of Directors of the Group as an external director. Strauss Group published an immediate report on the subject this morning. 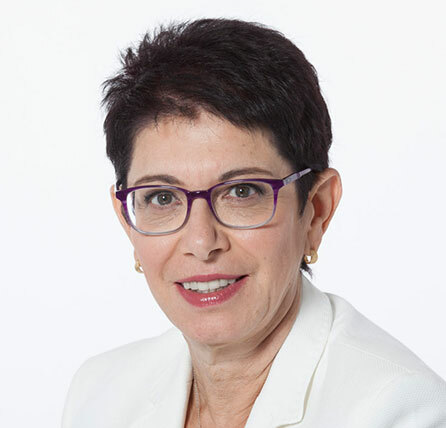 Until 2015, Ms. Narkys served as Chair of ManpowerGroup Israel and Director of the East Mediterranean Countries in the ManpowerGroup global organization, which is active in 82 countries, and as a member of the group’s global management team. In this capacity, she was responsible for global business operations on a scale of NIS 3 billion, and as part of her activities, mentored hundreds of senior executives all over the world. 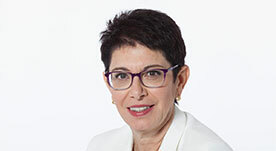 Prior thereto, Ms. Narkys served as ManpowerGroup Israel’s CEO and its Vice President of Business Development. Formerly, she was also the owner and CEO of Marom, a company engaged in training children and teens in computer applications. She is among the leading figures in Human Resources in Israel and brings with her rich, diverse global experience. In addition to her professional roles, Ms. Narkys is involved in extensive social activity: she is a member of the Israeli government’s Directors Team, a member of the board of directors of the Israel Association of Community Centers and chair of its finance committee, a member of the executive committee of the Academic College of Tel Aviv – Yaffo, and for a decade served on the executive committee of the Afeka Tel Aviv College of Engineering, a member of the executive committee of ELEM Youth in Distress, was president of the Union of HR Companies in the Coordinating Bureau of Economic Organizations, a member of the Taub Center for Social Policy Studies in Israel’s response team, and vice president of IWF (the International Women’s Forum) Israel. In the context of her role on the Board of Directors, Ms. Narkys will be heading the Board’s Human Resources and Remuneration Committee. Strauss Group’s Board of Directors comprises twelve members, of whom six are women.